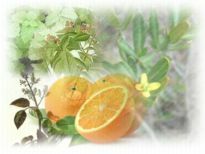 The unique, warm, dry, sweetness of Amyris Sandalwood comfortably and lazily stirs within the joyous floral citrus embrace of Bergamot to add fire, depth and passion to this uniquely blended, pure essential oil fragrance. More information and product images can be found using the links above. If you have ordered these products before and would quickly like to add Sandalwood Embrace Essential Oil Scented products to your cart, you can do so using the quick order form below.